Customer Mary Talbot picked some fresh carrots as 4 Nichols watched at the Mill City Grows farmers market booth in Lowell. Mill City Grows hopes to bring fresh foods to more locations in Lowell if the Massachusetts Food Trust receives its authorized funding. In Springfield’s Mason Square, one of the poorest neighborhoods in the state, the nearest supermarket is two miles — and multiple bus rides — away. Local nonprofits have tried for years to attract a grocery store, but companies have balked at opening in the low-income neighborhood. That’s where community leaders hope the Massachusetts Food Trust comes in. Using a nonprofit developer and money from the fund, they hope to build retail space at low cost, offer it at bargain rents, and reduce the financial risks to entice a supermarket operator to Mason Square. As an added bonus, the project could create as many as 150 jobs in a city and neighborhood that need them. There’s just one catch: the state has yet to release some $2 million authorized by the Legislature in 2014 to get the food trust up and running. The Mason Square supermarket and other food-focused projects around the state are awaiting action from the Baker administration, which last year failed to fund the program — and many other authorized projects — because of state government’s shaky finances. Public health and economic development advocates, looking to increase access to healthier foods while creating jobs in low-income communities, are pressing the administration to release the money later this year. 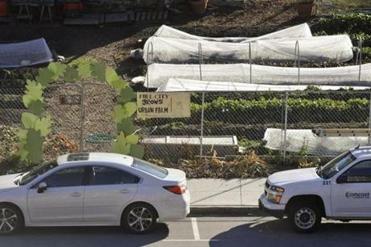 Mill City Grow maintains a small urban food plot across the street from its farmers market location. The trust would be a fund that offers loans, grants, and technical assistance to new or growing food businesses that show potential to improve access to healthy food. The program was recommended in 2012 by the Grocery Access Task Force, a group of representatives from nonprofits, the food industry, and government agencies. Though Massachusetts is one of the wealthiest states in the country, it has fewer than one supermarket for every 10,000 people, a lower rate than all but two other states, New Jersey and Texas, according to a 2010 report by The Food Trust, a national advocacy group. If funded, the Massachusetts Food Trust would help new businesses to bring healthy food options to underserved areas in an already underserved state, Ribble said. Lower-income neighborhoods in cities like Worcester, Springfield, and Lowell are even less likely to have nearby supermarkets that offer fresh meats, vegetables, and other products. Families in these areas often rely on processed and fast-foods that are high in fat, sodium, and sugar. Research, from institutions including the national Centers for Disease Control, shows lack of access healthy foods can lead to higher rates of obesity, heart disease, and related medical issues. 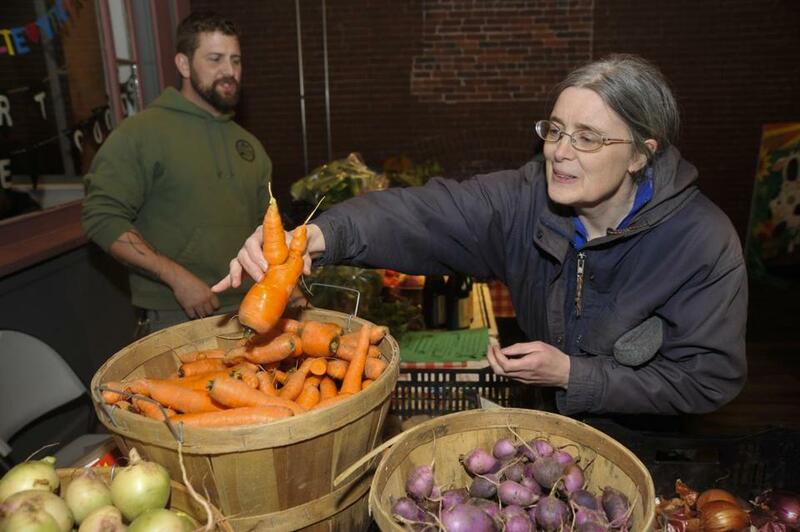 The Massachusetts Food Trust would also boost local economies, supporters said. In other states, similar programs have attracted an average of $10 in private investment for every $1 of public seed funding, Ribble said. In Pennsylvania, a similar program with $30 million in seed funding has supported nearly 90 new projects and created more than 5,000 jobs since 2004. In New York, the $30 million Healthy Food and Health Communities Fund has created or preserved more than 1,000 jobs since it launched in 2010, said Sajan Philip, senior loan officer for the Low Income Investment Fund, the agency that administers the program. The Massachusetts Food Trust would invest in a range of projects, from traditional supermarkets and farmers markets to food business incubators that give start-ups the space, equipment, and technical guidance to get new, locally made food products off the ground. Food hubs also have great potential, Ribble said. These central facilities aggregate the wares of small farmers and sell the produce to bigger retailers, giving local growers access to new, more profitable markets. In Lowell, Mill City Grows, a nonprofit that promotes healthy foods in low-income areas, hopes funding from the Massachusetts Food Trust could allow it to expand its mobile farmers market — a truck loaded with local produce that stops at sites throughout the city. The operation runs five days a week, selling fresh fruits and vegetables at eight locations; with the money to buy an additional van, it could reach 14 regular sites and make school visits, said founding co-director Francey Slater. “I’m really excited about this — the potential it has to really spur growth in the healthy foods sector in Massachusetts,” she said. The money for the Massachusetts Food Trust was authorized as part of a $2.2-billion environmental bond bill. In the complex world of government budgeting, however, authorization is just a first step — once a project is authorized, the governor’s office needs to release the specified funds. Peter Lorenz, spokesman for the Executive Office of Energy and Environmental Affairs, said his agency and others will develop a capital spending plan over the next few months to determine which projects get funding in the fiscal year that begins July 1. 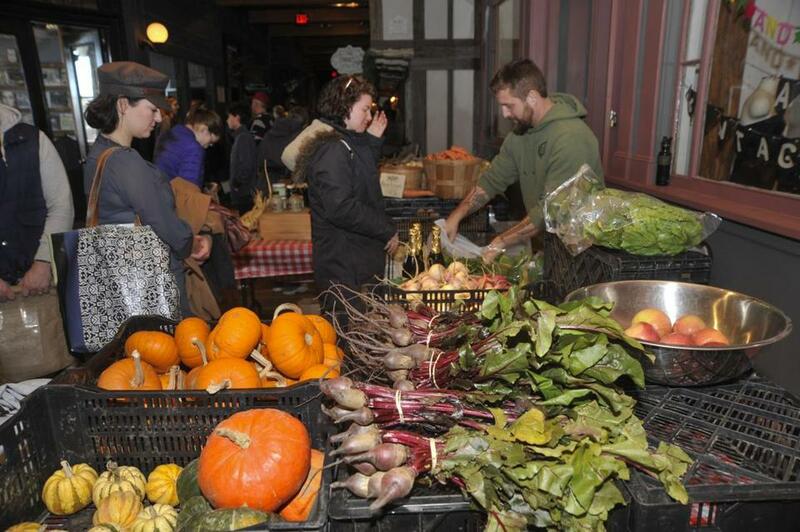 Customers lined up last fall to buy fresh produce at the Mill City Grows farmers market booth in Lowell. Though Massachusetts is one of the wealthiest states in the country, it has fewer than one supermarket for every 10,000 people, a lower rate than all but New Jersey and Texas, according to a 2010 report by The Food Trust, a national advocacy group.